Joining forces with Belgian producer Yves V, Brazilian Bass head honcho Alok has unveiled yet another addition to his ever-expanding catalogue. 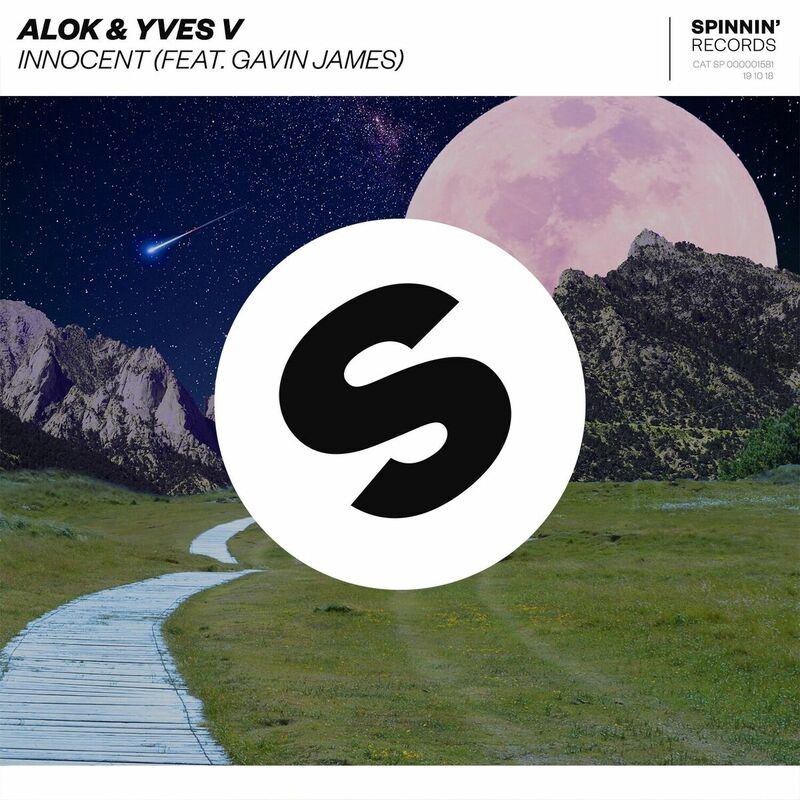 With world-renowned Irish singer/songwriter Gavin James on vocal duties, Alok & Yves V’s ‘Innocent’ is out now via Spinnin’ Records. Premiering in Tomorrowland’s 2018 Aftermovie, ‘Innocent’ is a radio ready production that offers an alternative to Alok and Yves usual productions. Allowing Gavin’s stunning vocals to take the lead, the tone is set with laidback percussion. With the track moving into the chorus, the pair utilize electrifying synths matched by Gavin’s powerful vocals. ‘Innocent’ is a catchy creation that draws listeners in across its 3-minute duration and will have them singing along before the track is done. With over 8 million monthly listeners on Spotify, Alok manages to impress with every track he creates. Keeping extremely busy with his release schedule, Alok has seen major success with ‘United’ with Armin van Buuren and Vini Vici and most recently ‘Favela’ Ft. Ina Wroldsen. As one of Tomorrowland’s resident DJs, Yves V has taken his sound all around the globe this summer, playing in Asia, South America and Europe. With its anthemic qualities, Yves’ latest release ‘Something Like This’ Ft. Jermaine Fleur quickly became a summer hit. Receiving support from the likes of Ed Sheeran and Sam Smith, Gavin James has seen a meteoric rise over the past few years. With his new single ‘Glow’ making massive waves, the path is paved for his sophomore album to arrive later this year.